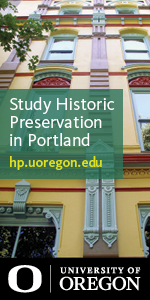 Learn about upcoming events, conferences, and trade shows in the wide field of historic and cultural resource preservation. 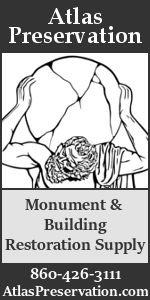 The directory of historic preservation events is always up-to-date and ever-expanding - check back often to learn about new and upcoming historic preservation and cultural resource events. 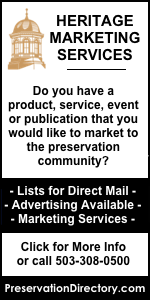 Add your historic preservation related events / conferences / trade shows / general preservation news to our directory for free. Simply click here to use the form to submit your information and create the listing for your upcoming historic preservation related event. All historic preservation and cultural resource events are arranged by date below. Please note - PreservationDirectory.com is not directly affiliated with the events. For more information about the events, please contact the group listed under each event. This one-of-a-kind bus tour, with architectural historian and Art Deco expert, Tony Robins, will highlight the important cultural, design, and architectural contributions of the 1939 World's Fair. 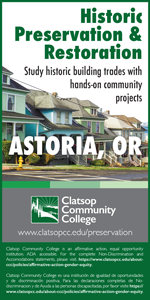 Workshops for Managing Historic Properties Friday, May 3, 9:00 a.m. – 3:30 p.m. Friday, May 10, 9:00 a.m. - 3:30 p.m. Friday, May 31, 9:00 a.m. - 3:30 p.m. Preserving Adapting a Mid-Century Home for Modern Living Please save the date for a mid-century design series to help you preserve and sensitively adapt your mid-century home for modern living. This Month’s theme will complement Join us for an activity that will surely be fun and informative as we craft a fun present for Mom. Our permanent galleries focusing on Arcadia Bandini. Explore the innovative preservation approach that brought 288 King back from the brink of collapse in this exclusive Hard Hat Tour with reception to follow. Hosted by Bill Huey+Associates and Renew Urban. Next summer, join the American Battlefield Trust members and staff — along with some of the nation's elite historians — for four days of camaraderie and touring in Lexington, Kentucky! The 2019 Kansas Preservation Conference will be held in Dodge City, Kansas and will focus on the theme "Embrace Your Place."